Barnabas Ministries finacial records and practices are audited annually by the professionals at Kiekover, Scholma, and Shumaker, PC. The entire Barnabas Family of Ministries is governed by a Board of Directors. 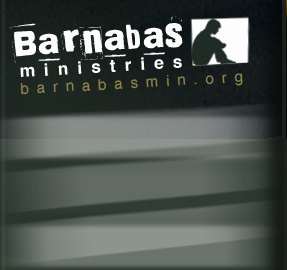 Individual accountability is in place through all levels of the Barnabas Ministry Team. The following Accountability Questions are used to assist in the personal growth and spiritual health of all those ministering at, and through, Barnabas Ministries. What have you been reading in the Scriptures this past month? What have you learned from that reading, and how are you applying it to your daily walk? How are you applying it to your missionary service at Barnabas? Describe your prayer life the past month. Were you consistent in church attendance this past month? are your relationships ones that speak clearly of sexual and spiritual purity? What steps are you taking to correct this? Married missionaries: is your marriage Biblically healthy? Are you honestly putting in your best efforts while you are serving at Barnabas? If ‘no’, what steps are you taking to correct this? What is your attitude toward Team Leaders, Assistant Director, Executive Director? Would others say your actions support this statement? What is your attitude toward others you serve with? What has been your attitude toward the kids & families we get to serve? Any times of making “5 second judgments” this past month? Any times of “throwing spears” at others who have hurt or disappointed you? Have there been any times where the Holy Spirit convicted you of pride in the past month? If ‘yes’, what steps are you taking to correct it? Is there any behavior / activity / habit that is consistently bringing your spirit down? Are you consistent in tithing to your home church? Is there anything you would like Leadership to be aware of, to assist you as you serve?